While it’s almost impossible to escape the busy world of today, a golf course is perhaps one of the few remaining refuges to get away from the noise and confusion, if even only for a few hours. 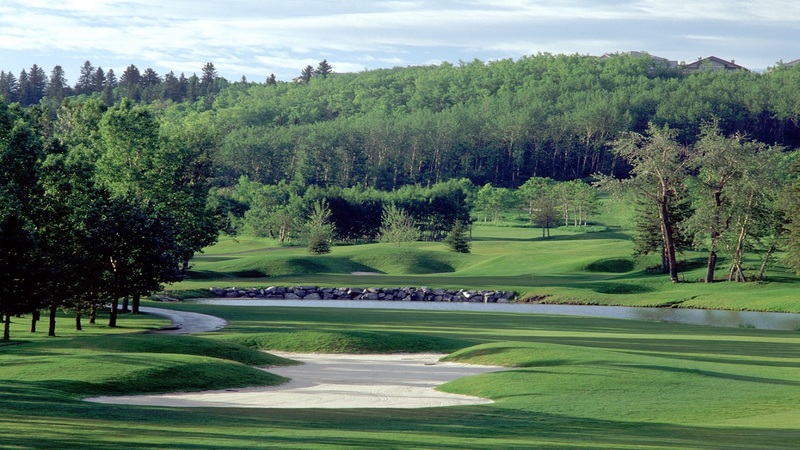 And one of those places, in Calgary, is the Valley Ridge Golf Club. Located a short distance from the heart of the city, Valley Ridge GC has lots on tap for the 2019 golf season, including some renovations to existing structures, league action, and of course, the enjoyment of a peaceful day on the links with family and/or friends. Speaking to some changes that have taken place over the past winter, the club’s Director of Golf, Curtis Robertson said, “We have recently done a reno to our bar in Mulligan’s restaurant as well as a reno to the pro shop. Our restaurant has continued to be very busy during both our golf season as well as our off-season hours,” with service and offerings that appeal to the public. As mentioned, the course sits alongside a waterway making for not only an enjoyable play but a scenic one as well. Playing to over 7,000 yards from its deepest tees, this course sets up well for all levels of player, as the tees move downward in distance from there. “Our location is a great feature of our golf course as it’s only 15 minutes from downtown Calgary but has a feel of being outside the city limits,” Robertson noted about the ease of reaching this playground. Valley Ridge Golf Club offers up a variety of tournament packages for companies looking to foster business relationships through this time-honoured tradition. These packages include everything that’s needed for the event including green fees, power carts, practice facilities, prize fund, and meal. In order to get ready for a round of golf, one needs to warm up properly and players at Valley Ridge will find all the practice amenities they’re looking for including a grass driving range, along with “One of the largest putting greens in Alberta.” And if you often find yourself mired in a green side bunker, the short game practice area here comes equipped with a bunker to work on those difficult up-and-in scenarios. If your game needs a bit more help than simply hitting balls on the range, Valley Ridge offers up a solid complement of professional staff, with three full-certified CPGA pros on hand for lessons to lend a hand. As for league play here, all ages are looked after with set-ups for juniors, men, ladies and seniors. “Our Men’s league is typically reserved for members and their guests due to tee-time availability, but our other three leagues welcome non-members,” for any of their weekly events, Robertson ended. For tee times at Valley Ridge GC, and a chance to escape the noise of everyday life, go to playgolfalberta.com and follow the links.